We are a volunteer, non-profit organization so please expect 2 weeks for delivery. Tickets sold within two weeks of the event will be waiting for you at the gate. 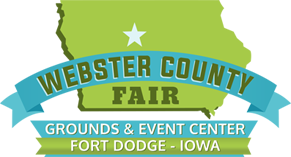 NOTE ON CARNIVAL TICKETS: Buying your tickets here or from a Fairground Planning Memember ensures that 100% goes back to bring great events to YOUR WEBSTER COUNTY FAIR. GRANDSTAND TICKETS (use at any Figure 8 race during the year, the Fair Open Truck Pull or UTV/Tough Truck Competition) Tickets at the Gate are $8adults, $5 for kids 12 to 5 and under 5 is free. Just looking for tickets for one event, your family, every event or even tickets to give away to others, we have a discounted ticket package that will work for you. Your purchase goes to keep great events coming to your Fairgrounds.